Event planning, cause marketing, publicity. Marketing Challenge: Marking its 30th year in business, the dealership had not received recognition for all the causes it supports in the three counties it serves. Our mission was twofold: to focus on its longevity in the marketplace and to create and publicize high profile events to garner new accolades. Achieved new awareness for the annual Arts Clayton golf tournament. Created and publicized new events that benefited causes like the Kiwanis Club’s Soapbox Derby for kids with special needs, a benefit for Cure Childhood Cancer. Coordinated the “Vigil Gives Back” campaign which was done in conjunction with three chambers of commerce local to the dealership: the Fayette, Clayton and Henry County Chambers. 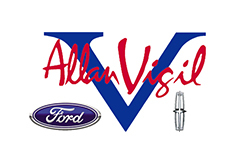 2% of chamber members’ purchases from Vigil Ford went back to each individual Chamber and then Vigil wrote a check to the chambers’ Partners in Education programs. Vigil Ford got more name recognition as a corporate good citizen, and increased its bottom line. We placed numerous stories in newspapers in Clayton, Fayette and Henry Counties, as well as on websites and in-house publications of the cause organizations with whom they worked. We even helped drive a crowd that included fans from other states to their local “Soapbox on the Southside”. We achieved their media placement goals by obtaining them publicity in media outlets including the Fayetteville and Clayton County Neighbor newspapers, WXIA 11 Alive (Atlanta), the Atlanta Journal Constitution and Fayetteville Citizen for their cause marketing activities.